Are you putting off lesson planning? Happy Anti-Procrastination Day! Are you keeping up with your lesson planning and grading? As a homeschool mom of several children, I know that this can easily be put off for one reason or another. Today, I want you to check your lesson plans. Are you on track with where you wanted to be by this point in the year? Some of you may have just started your homeschool year, but others have been going for some time now. I started my school year the first week of August. In a check of our progress over the weekend, I found that we are a little ahead of schedule. Have a regular time each week where you check your children’s progress with their school work and update lesson plans accordingly. I only recommend lesson planning from week-to-week. 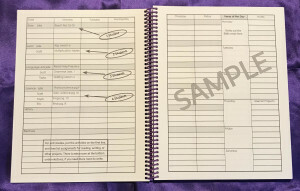 This enables you to adjust as needed when you children need extra time on a subject or when something pops up in your schedule, such as sickness or an appointment. If you struggle with where to start with lesson planning, divide your book up by the number of months in your school year. Then divide it again by the number 4, which is the weeks you will homeschool in a month. Then divide it once more by 5, which is your number of days in a school week. Or you can just divide the number of pages in a book by 180, if that is the number of days you will homeschool in a year. By knowing how many pages to cover in a day, you can plan appropriately with your weekly lesson plans. An example would be a book that is 540 pages long. That would mean your child needs to cover 60 pages per month. Which would divide up to 15 pages per week and 3 pages per day. If you divide 540 by 180, you would also get 3 pages per day. So it doesn’t matter how you divide it, you just need to know a range of pages to cover per book per day. Another area that tends to be put off in homeschooling is grading papers. Not everything your child does has to be graded, but you should be checking for progress. Many times when I am checking my children’s work, I will help them figure out why they missed a problem. We will work on it together until they understand how to do the problem. I call this mastery learning. When you do your lesson planning, be sure to put in place fun activities, too. Children learn in many ways, and it helps children retain what they are learning academically when you include music and art in their day. Children also need play time and to use their large muscles to help them process what they are learning in math and reading. 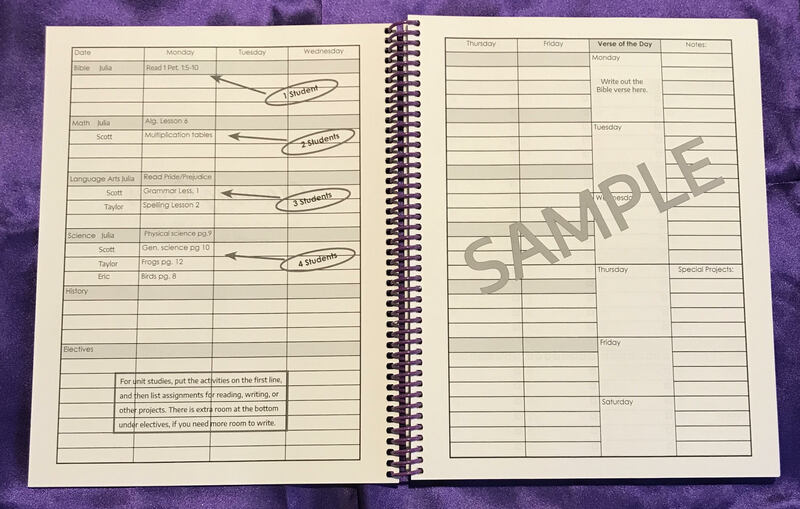 You can read about my lesson planner in my online Store. Your Zone Mission today is to dust the Master Bedroom. My menu plan for Wednesday is soup and sandwiches with a side salad. This entry was posted in home education and tagged FlyLady, home organization, homeschool, lesson planning, zone missions by Tami. Bookmark the permalink.